Fara Williams, who stands on the verge of becoming England women’s most capped international, has confessed that she spent six years living rough. The 30-year-old revealed that while spending years slumming it between hostels and living rough, none of her team-mates knew a thing about her plight. ‘I just didn’t want to tell people,’ said Williams, speaking for the first time about her sad past. ‘People have a judgment of who should be homeless and who shouldn’t, and I felt people would judge me. Williams has been selected for England in the forthcoming World Cup qualifiers as they aim to keep their undefeated record intact against Belarus and Ukraine. With 127 caps to her name, she is just three games away from becoming England’s most-capped player. Yet such fame and glory is a far cry from having to celebrate her 18th and 21st birthdays in hostels. 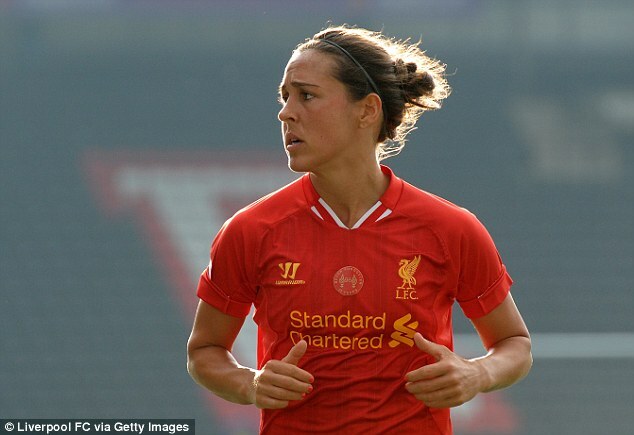 ‘The cause of most homelessness, which people aren’t aware of, is family breakdown — it’s not just addictions,’ said the Liverpool Ladies player. Williams’ experiences led her to work with the Homeless FA, where she coaches homeless girls and women every week. ‘To have the opportunity to help these girls is something that I didn’t want to turn down. I wanted to share my story with them and show them that there is a pathway to get out of the situation they’re in,’ explained Williams.